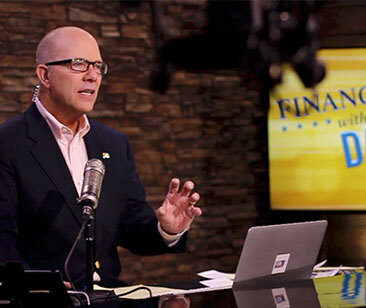 PHILADELPHIA—Nationally syndicated host and biblical stewardship authority Dan Celia is sharing his serious concerns on how the growing uncertainty in global economies is causing greater apprehension for the American economy. “There are a few more economic problems globally we can see right now—and still more continuing to surface every day,” Celia said. “These problems and issues are not all caused by geopolitical events or political uncertainties here in America. We now have real global growth concerns and an increasing risk of economies slowing even more. “The banking sector, I believe, is in trouble,” he continued. “Far too many have totally lost sight of the fact that three years ago the Italian banks—in the third largest economy in the Euro block—were in trouble. I warned about that and I also warned about the financial and banking sectors in Spain and Portugal. And then, of course, the worst of all would be Deutsche Bank. Deutsche Bank is now considering a merger with the second largest bank in Germany, which is also struggling from lack of equity, debt and capitalization issues. I don’t believe merging the two largest banks—both with fundamental problems, debt issues and struggling from lack of demand for banking services—is a viable solution. “This will leave one big bank with which the government will have little choice but to become more and more involved,” he added. “Maybe that is their desire—to have an economy based on the dictates of the government on the financial system and economic stimulus. But I hope they keep in mind that they have no control over their currency, so they will never have the kind of control over their economies, such as a communist regime like China might. “The UK and its Brexit issues are also of concern as the pound continues to drop,” Celia said. “Central banks are running out of bullets around the globe, and they will have little choice but to sit idly by while economies are collapsing all around them. The impact of this on humanity and economies will be devastating if things don’t change. Keep in mind that, if the Eurozone nations were to slow down significantly and currencies continue to grow weaker, there will be bigger problems for China. Certainly, these problems will make landfall here in America. Remember that the combined countries of the eastern and western European nations comprise the largest economy in the world, and this is the No. 1 area for China’s exports. This alone could continue to keep China’s economy in a significant slowdown with a low GDP environment.